These sticky sandals (or sticky feet as the guys in the warehouse say) are pretty cool and they were massively popular this last week! You actually peel off a film and step on them and they stick! Most of the clients who buy them seem to do spray tanning services... why? I have no idea... I'm just a shipping guy! See our great White Strapless Sticky Sandals HERE! The work week can be draining and stressful, so why not offer your clients midday, mini escapes to help break up their day and have them feeling refreshed as they return to work. I've started to notice that mini services that require less than an hour are great to offer to your clients who are looking for a lunchtime pick me up. (This is especially great if your located in an area surrounded by business offices!) Besides pampering services, your clients are also looking to take care of their regular beauty maintenance without taking up precious weekend time! For example, if you're due for an eyebrow waxing -- would you rather do it during your lunch break (It really only takes about 15 minutes!) or would you want to take time out of your relaxing weekend? Obviously, most would choose to get it out of the way during the week. Manicure: Just a basic manicure will take at most 30 minutes. Massage: Shoulder and Neck massages are ideal for a lunchtime break. You can offer 10, 20, or even 30 minutes. Your clients will be feeling great the rest of the day! Waxing: Eyebrows and upper lip take about 10-15 minutes. Bikini or lower leg can also be done in less than an hour. Blow-out: Getting a blow-out is something a lot of your clients will request midday. It great for your clients who have plans after work. Tanning Season is upon us. I say this because Disposable Nose Filters were a popular item this week. So protect your nose while your getting your spray tan... why? I have no idea... I'm just a shipping guy! See our great Disposable Nose Filter selection HERE! It's a Sticky Situation... I'm Talkin' About Strapless Disposable Slippers for Sunless Tanning! Part of any good spa/salon service is exceeding the comforts and expectations of your clients. For me, it is all about the details. The little things. Details that make your clients' experience memorable and improve the quality of your services. 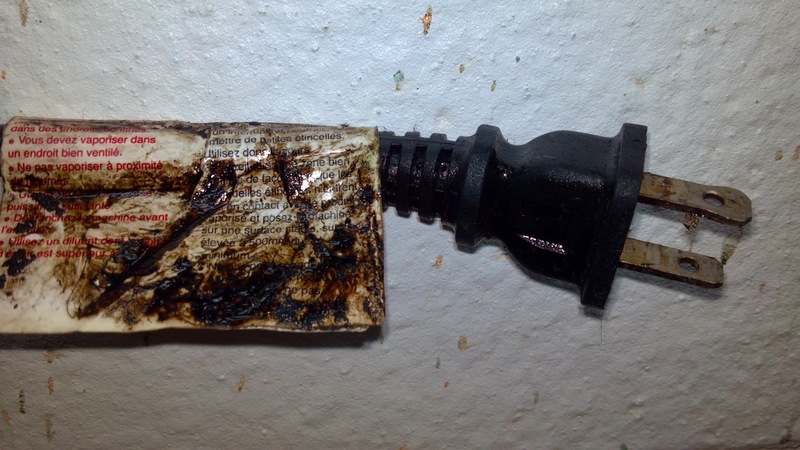 Each service has it's nuances, and Spray Tanning is no different. For this wildly popular service, one of the often over looked details is the bottoms of your clients' feet. 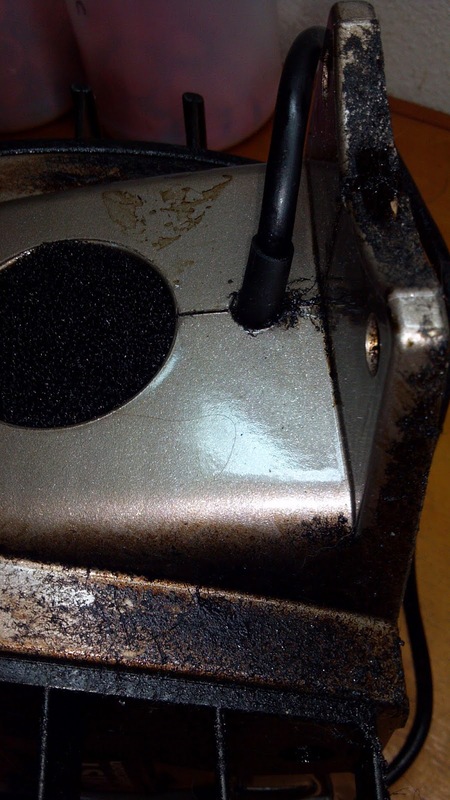 When you perform a spray tan, some of the fine mist falls on the floor, towel, mat, wet room tile, pop-up tent floor, etc. where your client stands. During your service, you typically have the client change positions so that you can get complete even coverage with the spray tan. When the client re-positions, they move their feet. In doing so, the bottoms of their feet come in to contact with the tan mist that settled below. When this happens, the BOTTOMS of their feet start to tan. Feet bottoms are not a place we want to be tan... it is not natural looking and is a dead give away for a sunless tan. To make matters worse, the bottoms of the feet have thick dead skin -- an abundance of keratin in one location and sunless tanning products tan those areas the darkest. Normal spa footwear has covered toes or a strap -- not an attractive tan line! But there is a solution! Strapless Disposable Slippers, or Sticky Feet as they are often called, are a thin foam slipper bottom that includes non-slip tread on once side and a medical grade sticky adhesive on the other. Peel the backing off, stick 'em on and voila - slippers that prevent tan feet bottoms! Pure Spa Direct offers them in a variety of colors both as open stock (order a few and try them) and in bulk boxes of 500 pair. Order them and improve the service experience and results for your clients. 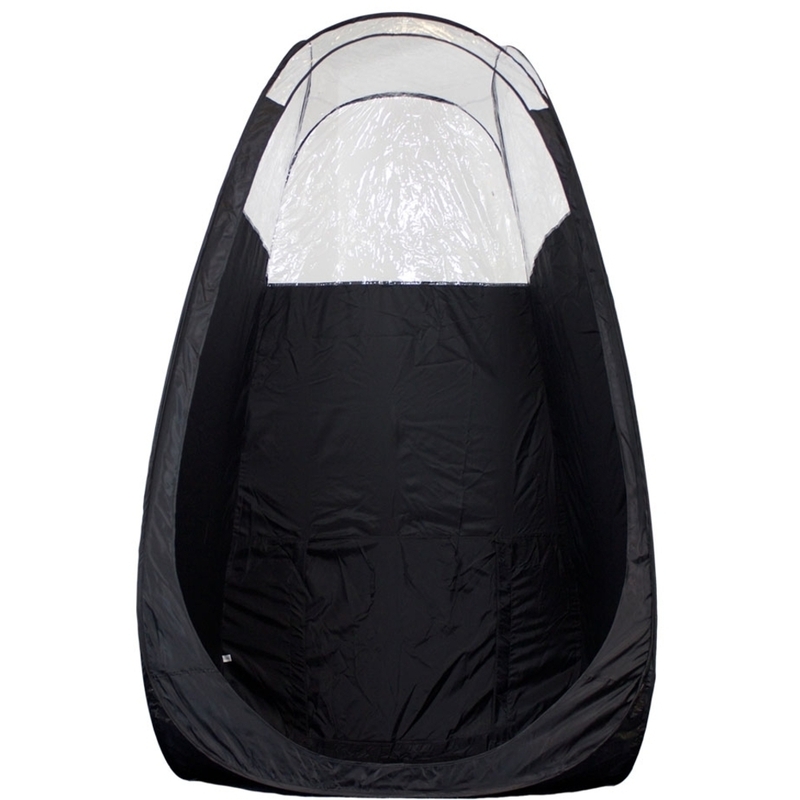 They work great with airbush tanning, HVLP tanning, lotion tanning and aerosol tanning. Remember, it is the memorable details that set you apart for your competitors! On October 25, 2011, the LA Times reported that a new study indicates that "For every four visits per year to a tanning booth, risk for basal and squamous cell carcinoma jumped 15% and risk for melanoma rose 11%." Wow. That's a scary thought. A tan makes you look slimmer, healthier, and boosts your confidence. But is it worth the increased cancer risk? can be a huge profit center for your tanning or salon business. Sunless tanning! Sunless tanning has come a long way from the orange, streaky "fake tan" it was when it was first developed. Now, you can offer your clients a safe way to remain tan all year round, and even offer various shades and darknesses to keep even your most discriminating clients happy! By offering the Pure Sunless Tanning Solutions and Extended Vacation Tanning Products, you open up many new avenues of profit for your company, while offering your clients a safe, affordable alternative to UV tanning! With treatment costs as low as $2 (using Tahitian Tea or Premium tanning solution), your potential profit from 1 gallon of tanning solution could be $1,650 or more! If you sell just 25 Extended Vacation Tan Extenders per week, your total profit from that product alone is $14,400! Not only is sunless tanning a smarter choice for your clients, it is a smarter choice for your business as well! Knock Knock! Can you hear tanning season knocking on the door? At Pure Spa Direct we are here to help make this tanning season your busiest yet! We are constantly searching for ways to provide our clients with the tools they need in order to better serve your clientele. So what did we do? We printed up Extended Vacation Tanning Tip Sheets to answer all of your sunless tanning questions. 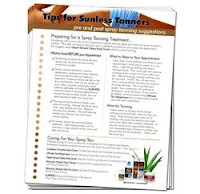 Each double sided tip sheet is professionally printed, with an abundance of useful information as to what we recommend and what to avoid during sunless tanning. Key points are made as to how to best prepare the skin for sunless tanning, and how to best maintain the gorgeous tan for as long as possible. 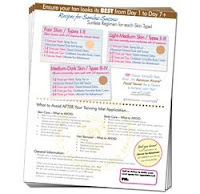 Tanning Tip Sheets are an excellent take away to give to your clients. 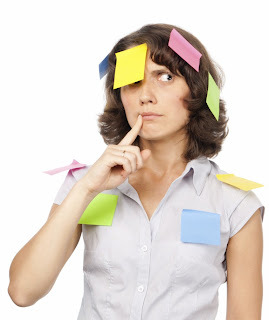 They will help to dramatically cut down on the repeat questions you get from your customers, and will help to prevent issues with clients who can't follow sunless tanning instructions. Also, included on the back of each sheet is a place for you to insert your company information and phone number,so your clients can call and book their next appointment. We are so confident in these sheets, that with each purchase of the Pure Sunless or Extended Vacation products we will include 25 for free, or you may purchase 50 for only $3. (FYI...there are 50 tans in each gallon of tanning solution). Maximize (Sunless Tanning) Results with the MaxiMist HVLP Tanning System! Calling all Spray Tanning Salons! With spray tanning season right around the corner, is important to have equipment that will sustain the busy time of year. When purchasing a spray tanning system, it is necessary to consider a machine that is reliable, durable, and worth the investment. The MaxiMist HVLP Tanning System maximizes tanning results at an unbeatable price. 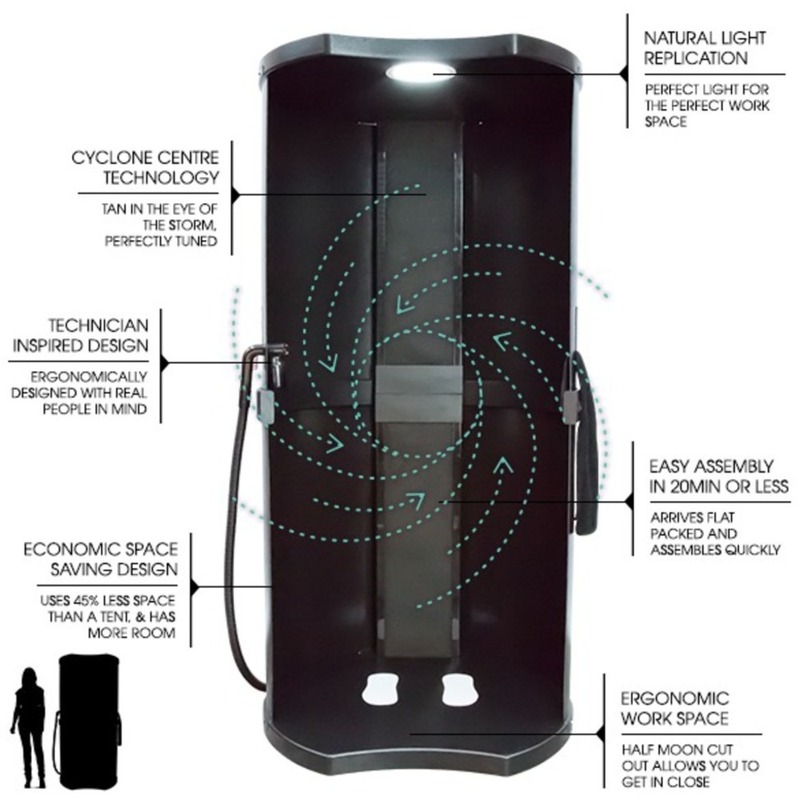 The MaxiMist HVLP Tanning System is perfect for both in-salon use or mobile tanning! 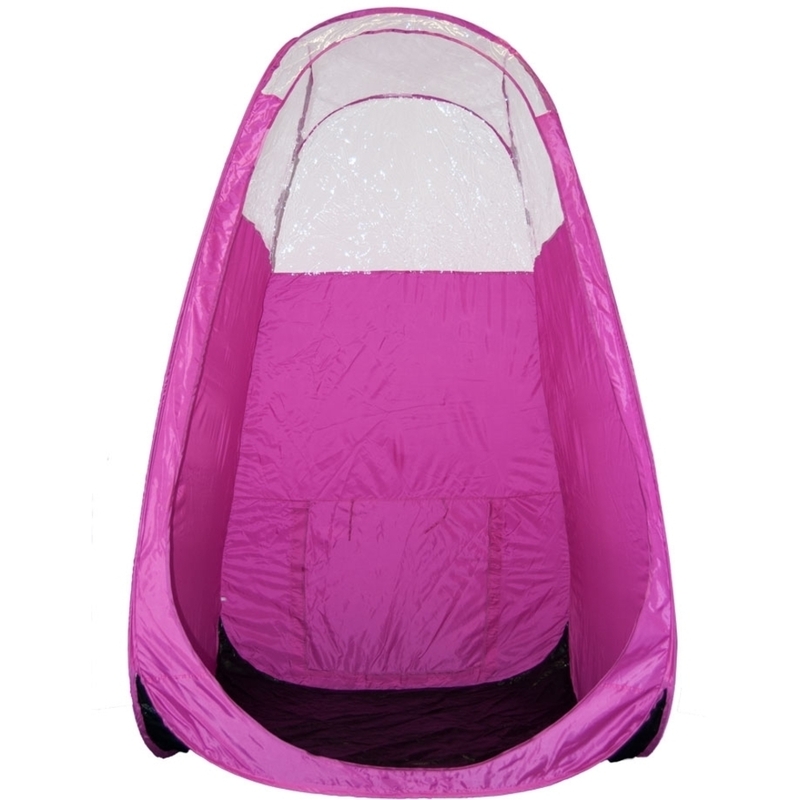 This unit is extremely easy to work with because of its durability and light weight. 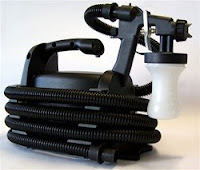 The Maximister gun allows for easy application by the sprayer and a quick session for the client. This little powerhouse is designed to support 20-25 applications/ 5 days a week...enough to install confidence in this machine, without the worry of it burning out on the go or mid-tan! Two other great units by Earlex are the SprayMate HVLP Tanning System and the MaxiMist Pro HVLP Tanning System. The SprayMate is adorable and the smallest unit available. The small size makes it convenient for transport and storage, and it is excellent to practice with if you are a new professional just starting a business. The difference between the MaxiMist and the MaxiMist Pro is the gun. 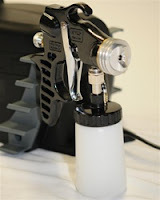 The MaxiMist Pro comes with two spray guns: the MaxiMister and the Pro MaxiMister. The Pro MaxiMister Gun, which is made of stainless steel construction, offers an unrestricted air flow, providing the best atomization, and features a simple single flow adjustment to obtain the perfect flow for your needs. As compared by the manufacturer, the MaxiMist can be considered a Toyota Camry and the MaxiMist Pro can be a BMW. While the Camry is an excellent car and is very reliable, the BMW is more luxurious. The MaxiMist Pro has a stainless tip allowing for a finer mist, creating a better tan, and will be easier to “drive” by the user. Check out all 3 top sellers here!